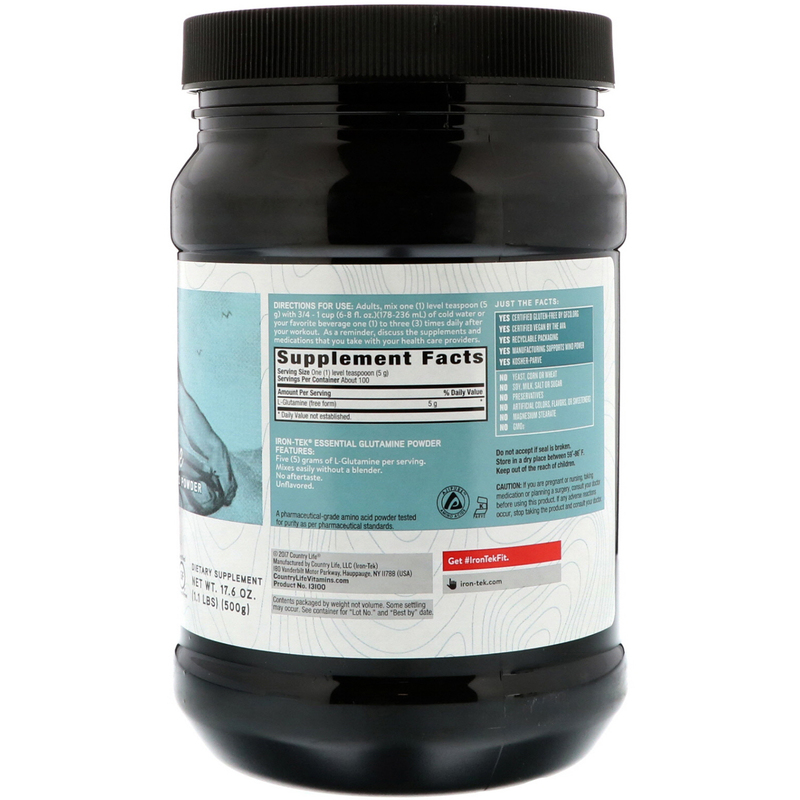 Five (5) grams of L-Glutamine per serving. A pharmaceutical-grade amino acid powder tested for purity as per pharmaceutical standards. Since when did fitness and nutrition become so difficult? We at Iron-Tek have gone back to the basics and crafted a system of workout supplements to help- whether you're getting fit to look good, or getting fit to get fit. Hard work. Quality nutrition. It's that simple. Iron-Tek Glutamine Pure is crafted for post-workout. 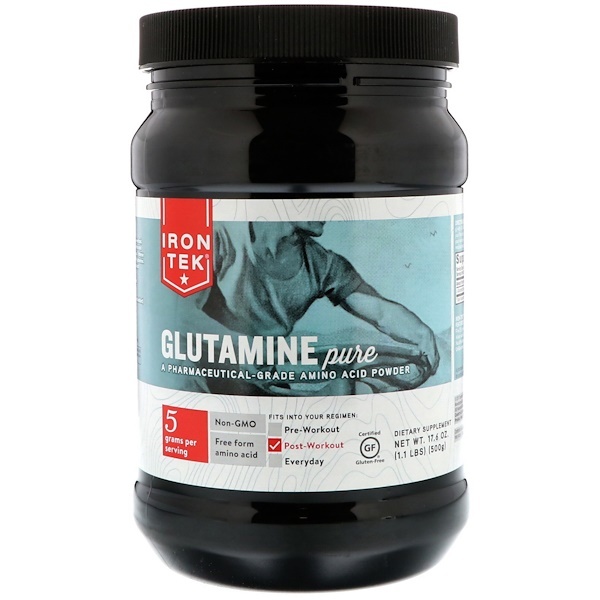 Glutamine is the most abundant "free" form amino acid in the body, and is concentrated in muscle tissue. Intense physical exercise uses up the body's reserves of glutamine. It is simply of the most important sport-related nutrients. A must-have for any Iron-Tekkie. Tested for purity by pharmaceutical standards. Take alone or enjoy with one of Iron-Tek Essential Proteins. Adults, mix one (1) level teaspoon (5 g) with 3/4 -1 cup (6-8 fl. oz.) (178-236 ml) of cold water or your favorite beverage one (1) to three times (3) times daily after your workout. As a reminder, discuss the supplements and medications that you take with your health care providers. Do not accept if seal is broken. Store in a dry place between 59°-86°F. Keep out of the reach of children. Contents packaged by weight not volume. Some settling may occur.